The right equipment can make all the difference, and never more so than when it comes to a performance sport like skiing. Because of that, with two young ski team members and a diehard Beer Gut League racer, our family boasts upwards of a dozen pairs of skis. Only one of them mine. Not that I minded, that is, not until I signed up for the Women’s Winter Escape program at Jiminy Peak. Halfway through the six-week session, I was skiing well enough that ski boots – which had seemed fine for 1-2 runs on easy slopes – were not cutting it anymore. Having outfitted the rest of the family, I didn’t see new equipment in my future, at least not for this season. Some of the more experienced ski moms recommended that I go for a boot fitting anyway because even old equipment can be tweaked for better performance, and if not, Steiner’s Sports was running a sale. But they told me that the real reason to go for a boot fitting was to meet the “incredibly gorgeous” and “dreamy,” Garrick Dardani. Now I’m not disputing their assessment, but after my visit, I’ve got a better reason to go for a boot fitting. With a few tweaks, Garrick improved my 10-year-old boots to the point that I can get another season out of them. 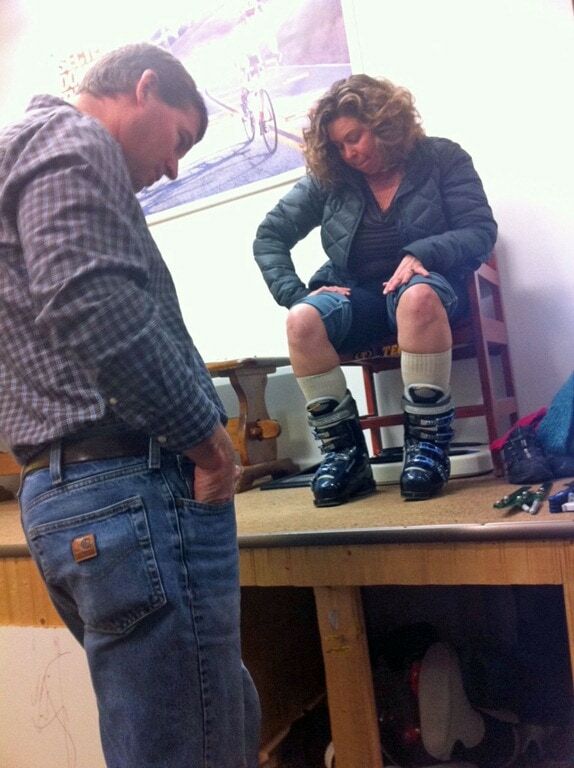 An expert ski boot fitting gave me the the performance equipment I needed and saved me money too. To find a boot fitter in your area, check www.bootfitters.com for listings and tips. Here are a number of boot fitters in New England. Mud Sweat n’ Gears – 21 Washington St., Ellicottville, NY 14731 (716) 699-8300. Steiner’s Sports – Three locations: Glenmont, Hudson, & Valatie, NY. U.S. Orthotic Center – 515 Madison Avenue, New York, NY 10022 (212) 832-1648. MTNside Boot Fit Center – Wachusetts Mountain 499 Mountain Road, Princeton, MA 01541 (978) 464-2626. 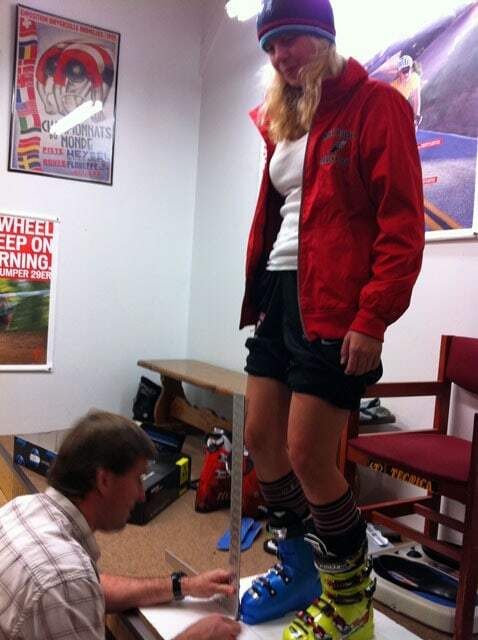 And here is a great boot fitting video, found on the Hunter Mountain Competition Team blog, with U.S. Ski Team World Cup technician and equipment specialist Matt Schiller explaining proper boot fit and flex for young athletes. Good info, thank you sincerely. 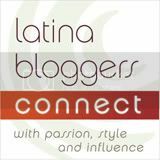 I was told about this site a while ago and decided to check it out, keep up the great posts.